Former Texas Governor and two-time presidential candidate Rick Perry is being attacked by conservative media outlets for, of all things, keeping his word. Governor Perry, like every other 2016 GOP presidential candidate, gave his word that he would support the nominee of the party – no matter who that nominee turned out to be. Unlike some of the other former candidates, Rick Perry is keeping his word and has pledged his support for the apparent nominee, Donald Trump. Texas’ longest serving governor is now being attacked for honoring his promise to the voters that he would support the eventual nominee of the party. Of the ten candidates on stage, Donald Trump was the only person who said he could not make that pledge. He later signed the pledge and said he would support the eventual nominee, no matter who it was. If you want to talk about hypocrisy, just imagine what these writers would be saying about Donald Trump had Ted Cruz secured the nomination at the convention and Trump either refused his support or ran as an independent candidate. The next president will make at least one Supreme Court nomination, to fill the seat of the late Justice Antonin Scalia. It is likely that several more vacancies could occur during the next four years. The thought of passing that appointment on to Hillary Clinton should be enough for any conservative to say #NeverHillary. Rick Perry, and other former candidates have stood by their word. That should be honored in this day in time where a candidate’s word is often meaningless. Border Patrol agents working a known smuggling area in Laredo, Texas, arrested an alleged Texas militia member on multiple weapons charges. The man was with two other men in an area about 1,000 feet north of the Texas/Mexico border. 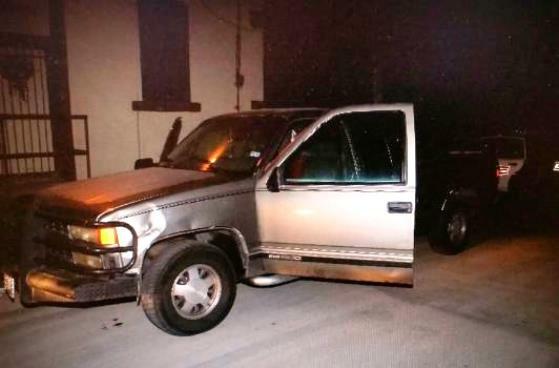 Laredo police were called by U.S. Border Patrol agents, according to a report by KGNS-TV in Laredo, after the agents came upon a truck and three men they said were acting suspiciously in a business area at night. 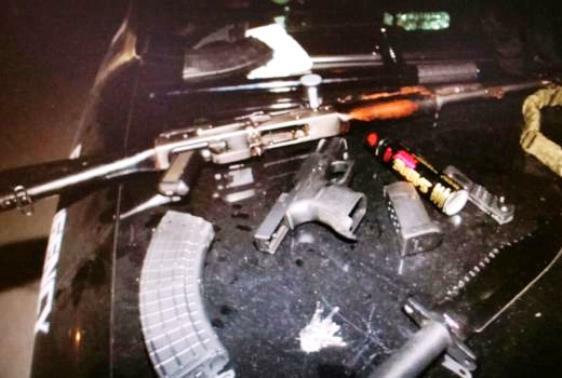 The agents discovered one man, Thomas Rivera, 20, allegedly in possession of several weapons. Police said Rivera was carrying a rifle, a .45 caliber pistol, knives, a police baton and mace. While Texas law allows for the open carry of a rifle or shotgun, it does not allow a handgun to be carried openly. As Rivera is 20-years-old, he is not eligible for a Texas Concealed Handgun License. Under Texas law, Title 10, Chapter 46.01 it is also illegal to carry mace and a “nightstick.” If the knife Rivera was allegedly carrying is over five and one-half inches in length that could also be a weapons violation. Rivera was charged on Thursday with two counts of unlawful carrying of a weapon and two additional counts of possessing a prohibited. Laredo police have not returned calls from Breitbart Texas for additional information. Whether Rivera has any kind of criminal background that would prohibit him from possessing firearms has not been revealed at this time. Police said Rivera claimed to be a Texas militia member. That has not yet been confirmed by outside sources. Breitbart Texas has previously reported how wide open the Laredo Sector of the Texas/Mexico border is. 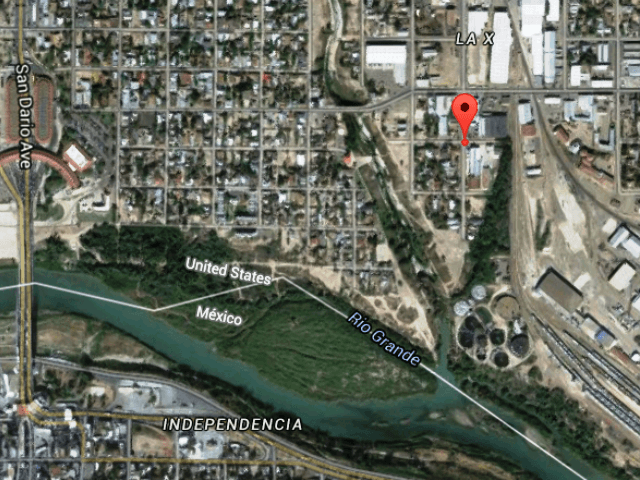 Rivera was arrested in a business area about 1,000 feet north of the Texas/Mexico border. It is an area that, in nighttime, would be an easy location for drug smugglers and human smugglers to bring their cargo across and quickly disappear into the city of Laredo. Google Maps image of Rivera arrest location. Breitbart Texas will continue to monitor this developing story.